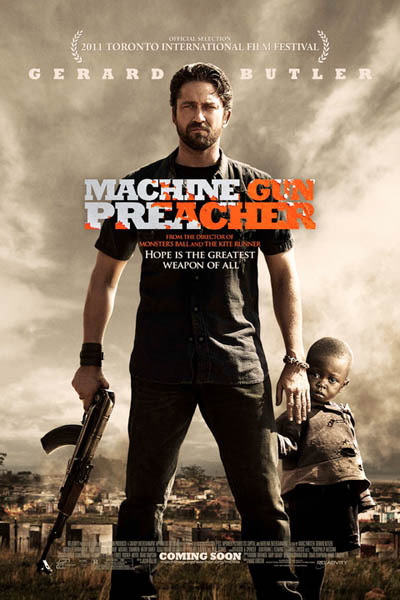 A few years ago I heard about the movie Machine Gun Preacher starring Gerard Butler and was intrigued by the somewhat paradox title. 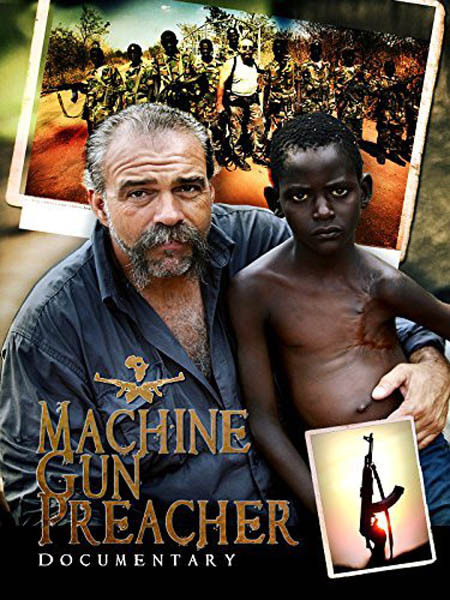 As I watched it I was deeply moved by the true story of Sam Childers, also know as “The Machine Gun Preacher.” I could hardly believe this story was a real person’s life. 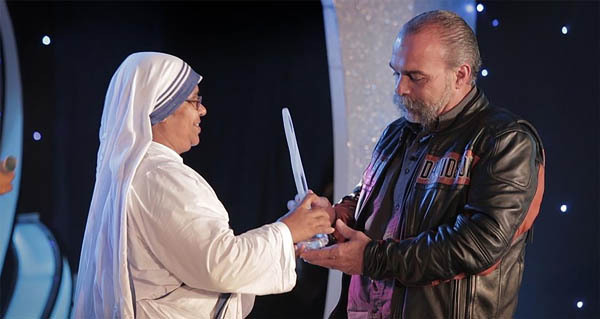 Who exactly is Sam Childers? In our opinion he is one of the most influential men in the South Sudan, Northern Uganda and Ethiopia region for many years. Not to mention one of the most controversial pastors in the world who founded the humanitarian organization Angels of East Africa in Eastern Africa. In his early years, despite growing up in a good and loving family, he unfortunately fell into the depths of drug dealing and violence. Growing weary from his destructive way of life, he began to learn about God after going to church with his wife. He then left behind a life of drugs and crime, and set up a hardscrabble church in rural Pennsylvania where he used his meager savings to take his first missionary trip to Africa. While he was there he ended up in South Sudan which was in the midst of the Second Sudanese War and as a result had stumbled across a child’s dead body that was torn apart by a landmine from the war. Sam fell to his knees in devastation and vowed to God that he would do whatever it took to help the people of South Sudan. Shortly after, Sam took his vow very seriously. He built an orphanage in South Sudan and then began to lead armed missions into the bush to rescue children from the infamous Lord’s Resistance Army (L.R.A) a brutal rebel milita that kidnapped 30 thousand children and murdered hundreds of thousands of villagers. It wasn’t long after until tales of his rescue missions began to spread and villagers began calling him “The Machine Gun Preacher”. 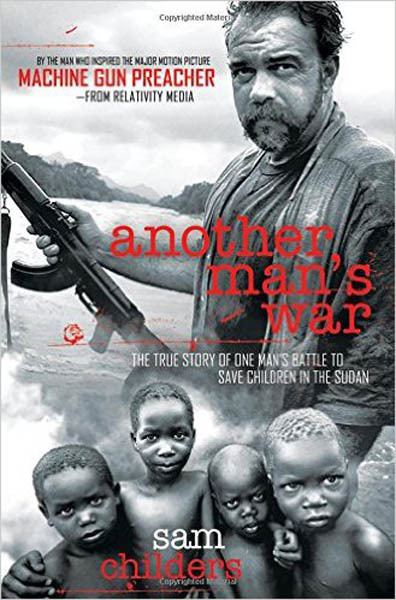 His story was turned into a book he authored “Another Man’s War” which later inspired the 2011 movie, The Machine Gun Preacher” starring Gerard Butler and Michelle Monoghan. To this day Sam has worked so hard to continue helping the children of Angels of East Africa which led him to win the Mother Teresa Memorial International Award for Social Justice in 2013. He is the first American to ever receive this prestigious honor. Sam has been building orphanages in South Sudan, Uganda and Ethiopia as well as a school, church, and a farm in Northern Uganda that started out as a few hundred acres of land and now thrives with self-sustaining crops and livestock to feed the children. One aspect we love about Angels of East Africa is that they’re not just about giving handouts to the children, but they firmly believe in creating sustainable programs that teach the children jobs, education and independence so that their futures are secure. This was clearly seen when my colleague, Sabrina and I visited the orphanage and farm a couple of years ago. Sabrina was there to support Sam in his initiative to help local people succeed in their talents and exposure by filming a movie on location there and I was there to work with the kids on creating an art exhibit of their paintings that expose their stories as victims of the war. The childrens artwork will be exhibited and auctioned off at The Angels of East Africa Gala at the City Winery in NY on November 4, 2016. To learn more about this Red Carpet event featuring the Machine Gun Preacher and Oscar Nominee and actor Michael Shannon visit www.angelsofeastafricagala.splashthat.com. Tickets are limited so now is the time to buy. The promotional video for the event, filming the children working on their inspirational paintings can be seen on www.artistportraits.biz. Sam Childers, who we are proud to call our friend, has given these children a second chance at life, truly. To us and more importantly to the children orphaned by the violent acts of the LRS, Sam Childers has been a Godsend to these children. He brings these children a safe haven, hope, trust, education, a will to live when they saw no hope in sight and most importantly love. Love beyond measure that in itself speaks volumes. How many of us can say we would risk everything to do something like? We are truly inspired by his sacrificial life for others, so helping him get the word out is the least we can do. Please join us in our efforts to help these children that are so desperately in need of people who truly care about their well being. 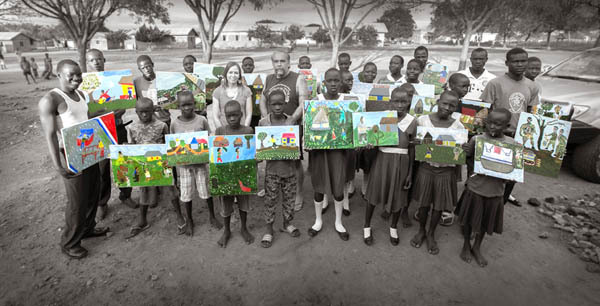 To this day, the orphanage is the largest in South Sudan and has housed over 1,000 children. But unfortunatly many Sudanese children still suffer and are in need of rescue from the atrocities of war.